The list of BYU Approved Condos is continually changing. This is ONLY a partial list. The condos on this list MAY no longer be approved. Team Teasdale Realty strongly suggests contacting BYU off campus housing to verify if the indiviual complex is still on the approved list. For one reason or another a complex that was approved in the past may not be approved today. Team Teasdale Realty only handles the purchase and sale of BYU approved condos and does not work with rentals. 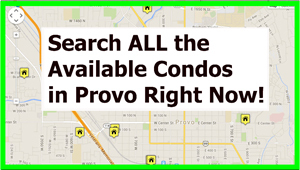 Our team can help you purchase a non-approved condos in Provo if you wish. If you are purchasing a BYU approved condo for a rental we can help explain the rental process to you. Paul Teasdale has been helping people buy BYU approved condos for over two decades. Paul lived in off-campus housing while attending BYU twenty years ago. Paul is very familiar with the various condo complexes in Provo around BYU. Feel free to use our available condo search below. This list of condos is generated from the Realtors MLS and is updated daily. However, it does not and can not differenciate an approved BYU condo or not. This is where you will need to hire a Realtor and hopefully one from Team Teasdale Realty to help you verify which condos are approved or not. Remember, verify with BYU offcampus housing before entering into a purchase or rental contract for BYU housing. If you need help purchasing a BYU approved condo contact Paul Teasdale.